What is an environmental noise assessment? A noise assessment is a detailed measurement and monitoring of levels of sound (air pressure waves) in the area that is under assessment. The assessment will determine the frequency and amplitude of the sound in the air to provide the required information for a noise risk assessment. A noise assessment is very similar to recording the sound in a defined area, but is requires high precision equipment and well trained and qualified personnel to perform the measurement and complete the survey. 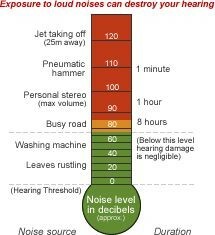 What damages can be caused due to Noise? There are two main types of damages that can be caused to employees due to exposers to high levels of noise as physiological and psychological. Exposure to high levels of noise over a prolonged period of time can cause permanent loss of hearing. Noise is a common issue in many industrial facilities. The main relevant legislation covering the control of noise in the workplace is the Safety, Health and Welfare at Work (General Application) Regulations 2007, Chapter 1 of Part 5: Control of Noise at Work. Under these regulations, when employees are likely to be exposed to noise at work above the lower exposure action value, an employer is obliged to carry out a detailed Noise Risk Assessment, completed by a competent person. If any employee is likely to be at risk from noise, the employer must establish and implement a programme of technical and organisational measures to reduce exposure. Personal protective equipment (ear plugs or ear muffs) is always a last resort to reduce exposure if no other measures have been successful at reducing the exposure to noise. There are action levels and there are limit values that would guide the employers in assessing the risk and determining the required actions. How CMSE Consultancy can help? CMSE Consultancy is a leading provider of Environmental Noise Assessments to clients for many years. Our specific deliverables in this area include quantitative noise risk assessments, noise monitoring, measurement and reporting. 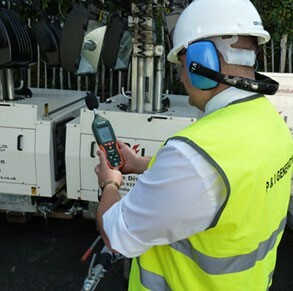 Our specialist consultants have many years of practical experience and expertise in assessing your needs in terms of current noise related legislation. At CMSE Consultancy we pride ourselves on the quality and value of the services that we provide our clients. Our Consultants will identify and assess the risks posed by noise in your environment in accordance with all current Irish noise legislation and current best practice. If you require more information regarding noise survey and noise risk assessment services provided by CMSE Consultancy, please call us – Dublin 01 517 5270, Cork 021 497 8100, Freephone 1850 315 415 – or send a message via the enquiry form below.